Thanks to the folks from Free the Hops a beer that got its start in Alabama is now being sold in Alabama. Oskar Blues Beer got its start from Dale and Chris Katechis when Dale brewed his very first batch of pale ale in his bathtub while living and attending college in Auburn. Dale and his girlfriend took a road trip and fell in love with the small town of Lyons, CO. Lyons was where Oskar Blues Brewery and Restaurant was born. In 2002 the Dale’s Pale Ale was first put into a can and the beer as been an award winner winning awards from The Great American Beer Festival and winning the best pale ale award from The New York Times! So you know that this pale ale is very popular. And after several laws were changed in Alabama to allow bigger beverage containers and larger alcohol content the beer is making its homecoming trek to Alabama! The guys have been going around the state and promoting their Oskar Blues Beer to the people. 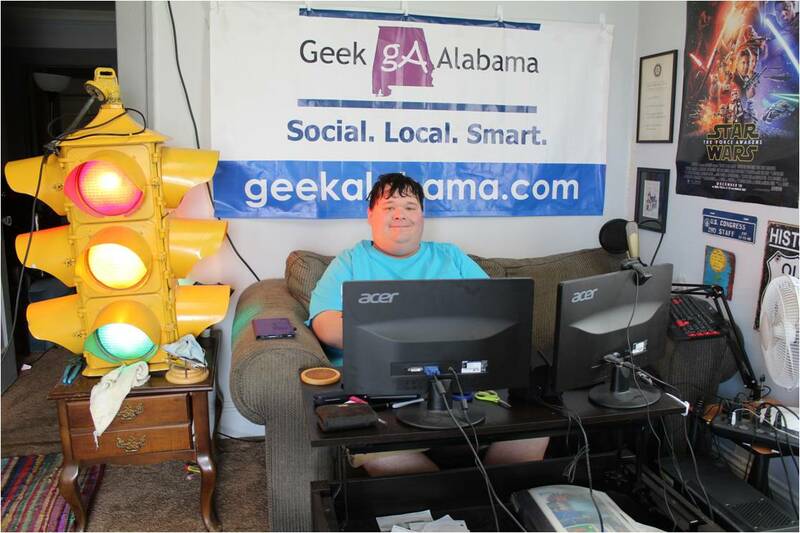 They have been on several local TV shows and on many online articles. And after working out some logistics the beers are now being sold in stores and bars across the state! 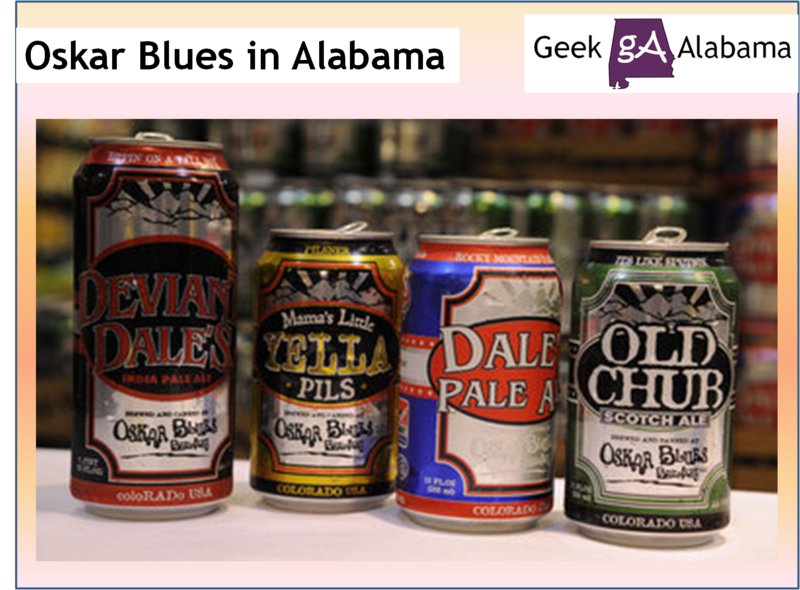 Beers such as Mama’s Little Yella Pils, Dale’s Pale Ale, Old Chub Scotch Ale, and Deviant Dale’s IPA are now being sold in 6-pack cans and being poured across bars in Alabama. This beer is so popular across the country the brewing plant is at full capacity and is growing. So you have to say this beer is going to be a major hit here in Alabama! All of this is great to see in Alabama. Thanks to the Free the Hops group numerous local microbreweries and local craft beers are now being sold in Alabama. Good People Brewing, Avondale Brewing, and Back Forty Beer among others are some of the state’s local breweries in a growing field of craft beers. And thanks to the Alabama Legislature passing bills overturning Alabama’s old alcoholic laws. The craft beer scene in Alabama is exploding! And for those people who wants to keep Alabama in the dark ages with dry counties and the banning of beer and wine sales; please just get over it. People wants to have some fun here and there. 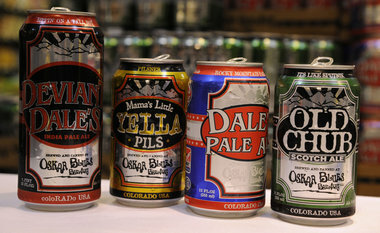 For more information on Oskar Blues Brewery go to http://www.oskarblues.com. Follow Oskar Blues Alabama https://www.facebook.com/OskarBluesBreweryAlabama on Facebook and @OskarBluesBama on Twitter.